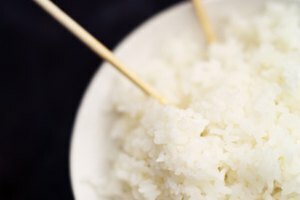 Rice is one of the few foods that benefits from freezing. Upon reheating, rice absorbs the moisture that condenses on the interior of the packaging to finish cooking, which prevents it from degrading to a soggy mess like many frozen foods when reheated. Make the most of your make-ahead rice momentum and measure it into portions before freezing to minimize leftovers. Cook white rice you plan on freezing to al dente so it develops a tender-on-the-outside, chewy-in-the-center consistency when you reheat it; in other words, don't cook it all the way through so it won't overcook when you heat it up again. The only exception to the al-dente advisement is brown rice. 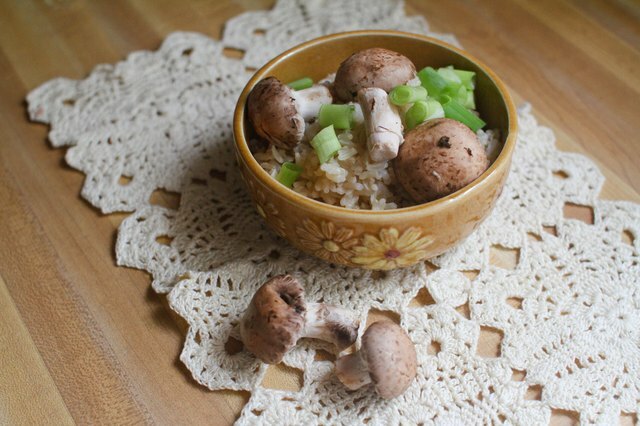 Brown rice is temperamental, and if you cut five minutes off the cooking time before freezing, it might take 15 to 20 minutes to cook it through upon reheating because it takes longer than white rice to reach internal cooking temperature and because of slight variations in fiber content within the grains. So, for best results, cook brown rice all the way through before freezing it. How you cool rice down for freezing -- or how much you let it cool before packaging it, rather -- affects its quality when you reheat it. 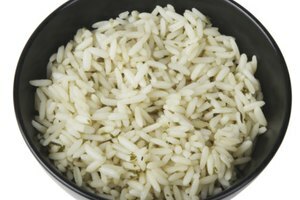 You want rice a little warm when you package it for freezing -- not screaming hot, but tepid to the touch and slightly steaming. Rice is one of the few foods that benefits from a small amount of excess moisture within the packaging. During reheating, rice absorbs the extra moisture it released in the package, and uses it to finish cooking all the way through. 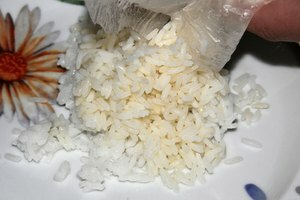 This technique also lets the rice go from freezer to food steamer or microwave without thawing. Run some water over a sheet pan or rimmed baking sheet and let the excess drip off just before the rice finishes cooking. The water prevents the grains from sticking to each other and the pan. Smooth the rice out in a 1/4-inch-thick layer on the pan and let it cool for 8 to 10 minutes. 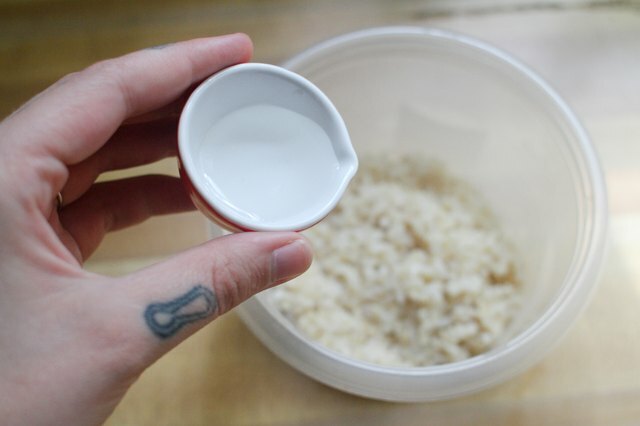 Portion the rice using a measuring cup and pack each portion in a 1/2-inch layer in a microwave-safe freezer bag. 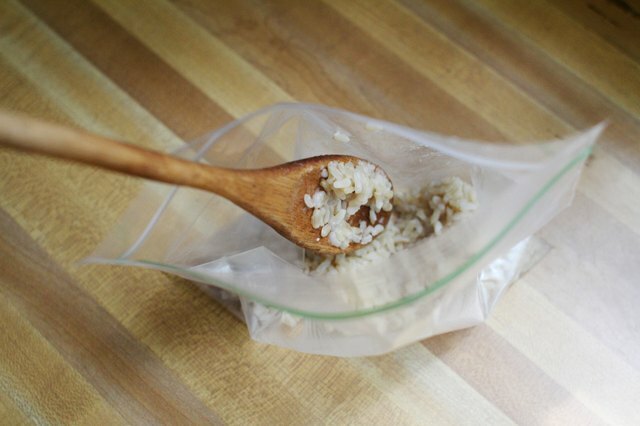 Lay the bagged rice flat on a baking sheet and place it in the freezer for two hours. After two hours, mark the date on the bags and place them in a single stack for long-term storage. 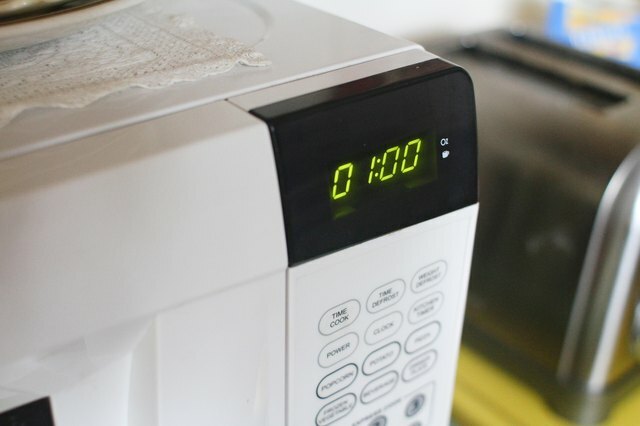 Go straight from the freezer to the microwave to prevent foodborne illness when reheating rice. 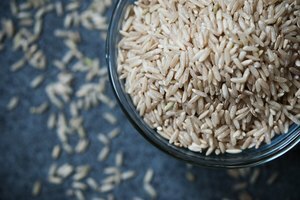 Rice is susceptible to Bacillus cereus, a bacteria that loves the nourishing environment of moist rice with a temperature between 40 and 140 F. Prevent B. cereus by putting cooked rice in the freezer as soon as you pack it, and never reheat rice more than once. When reheating, open the freezer bag about 1 or 2 inches and cook it on high in 1-minute increments until it's steaming hot. The rice must reach an internal temperature of 165 F when you reheat it. Rice stays fresh for three months in the freezer. Still Tasty: Storing Rice: How Long Does Rice Last, Cooked and Uncooked?